The idea behind preventive maintenance (PM) is that by performing regular maintenance on equipment, you reduce the chances of that equipment failing. It’s the same idea as taking your car in for regular oil changes to preempt a total breakdown. Preventive maintenance (also called planned maintenance or planned preventive maintenance) is driven by time, meter or event-based triggers. It’s based on the assumption that a machine component will degrade within a given period of time that is common for its type. Under a preventive management approach, the relevant parts will be removed, replaced, or rebuilt on or before the expected failure point. To go with our car analogy, it’s the same as replacing your engine oil every 10,000 miles. Mean-time-between-failure (MTBF) statistics can help optimize the preventive maintenance management schedule to include inspections, repairs, and rebuilds. But preventive maintenance is not as simple as just always running maintenance on all your assets. Maintenance costs money, and you need to make strategic decisions about where and when to use it to keep your facility running optimally. The way a machine is used and how often it is used (as well as a number of other variables) directly impact the operating life of the machine and its components. The main issue with preventive maintenance is that this approach can sometimes result in unnecessary maintenance. 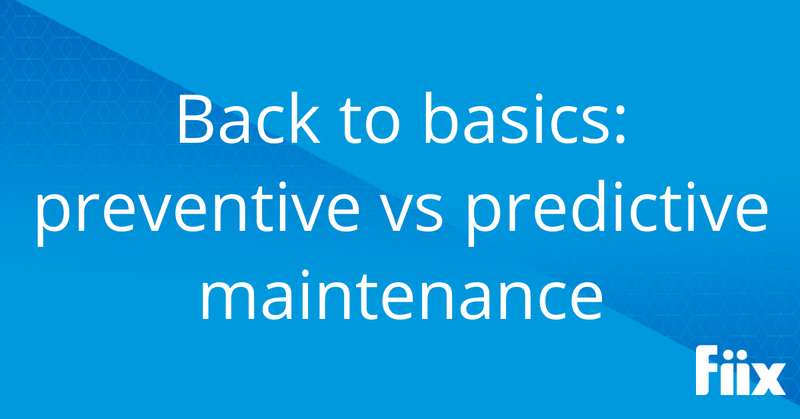 Predictive maintenance (PdM) differs from preventive maintenance in that it is determined by the condition of equipment rather than average or expected life statistics. Essentially, it tries to predict failure before it actually happens by monitoring the machine during normal operations. So in our car example, predictive maintenance would require oil samples to be taken at regular intervals and the oil replaced when it degrades beyond a certain point, rather than replacing it every 10,000 miles. This is also called condition-based maintenance. In many cases, when predictive analysis spots an issue, the repair can be scheduled at a time that minimizes the impact on production. The impact that random or unsuitable maintenance can have on your products and services, operating costs, and bottom line is significant. You need to develop an overall maintenance approach that uses the appropriate technique for each asset.